Bass Pro Shops is buying Cabela's in a $5.5 billion deal that brings together two prominent outfitters for the great outdoors. Bass Pro Shops sells fishing supplies, and Cabela's is a hunting store known for its taxidermy displays. 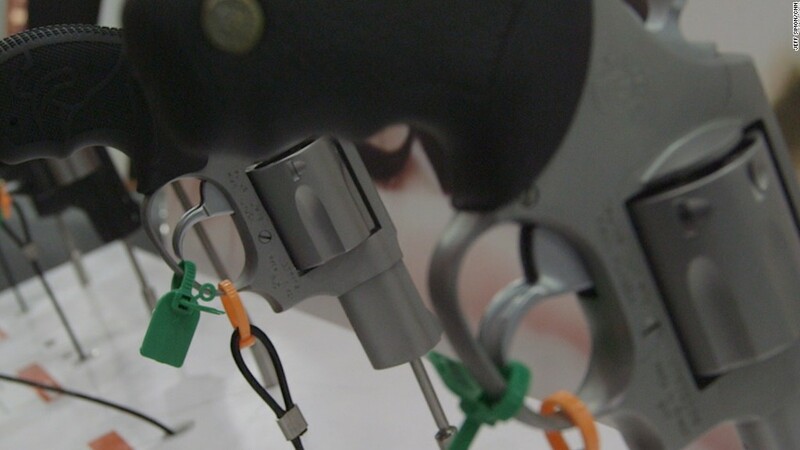 There's plenty of crossover -- especially because both companies sell guns and ammunition. Cabela said its stockholders would be paid $65.50 in cash per share. Cabela's (CAB) stock jumped 15% at the start of trading. Johnny Morris, founder of Bass Pro Shops, assured customers in an open letter that "there will be no immediate impact to our stores." The companies did not immediately respond to CNNMoney messages about whether any of Cabela's 19,000 employees would eventually be laid off or any of its 85 U.S. and Canadian stores closed. Bass Pro Shops, which is privately held, said it would honor Cabela's rewards cards and credit cards. Cabela's stores are known for extravagant taxidermy displays. 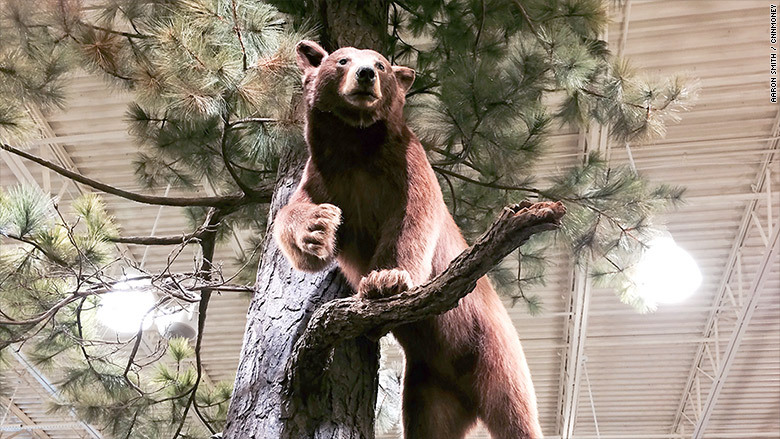 Cabela's stores have a distinctive rustic decor featuring displays of stuffed bears, deer, elk and moose. Some of the larger stores resemble theme parks or natural history museums, with extravagant displays of Arctic landscapes with stuffed Musk oxen, or African landscapes with stuffed elephants. 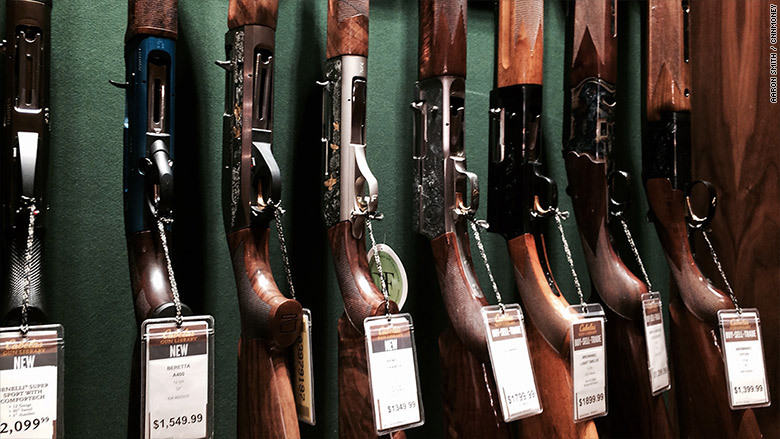 Cabela's sells antique guns in its so-called gun libraries. Much of Cabela's merchandise is camouflage and camping gear, including tents and bear-proof food kegs. The company is also known for its so-called gun libraries, green-walled rooms with antique guns for sale, including firearms from both World Wars. The deal is being financed by Goldman Sachs (GS) and Pamplona.